On September 23, in Moscow Vladimir Putin will hold negotiations with his Turkish counterpart Recep Tayyip Erdogan, as reported by the Press Secretary of the President of Russia. This is the second rendezvous of the two leaders in 2015 after the failed meetings in Baku within the opening of the First European games. At that time Erdogan had a long wait for Putin, and then he had to hear jokes about failed attempts of Turkey to join the European Union. The Turkish stream and Syria are in the context of recent events around this country, and these two important questions are on the agenda of the discussions between Putin and Erdogan, — says Semyon Bagdasarov, Head of the Center for Middle East and Central Asia studies. According to him, Turkey is alarmed at the rise of Russia in the Syrian issue, as well as at the fact that Moscow increases its military aid to Damascus. «Ankara has been playing a very destabilizing role in Syria, and Turkish leadership, including Erdogan, personally, is guilty of destabilizing the situation in the country. They wished for the speedy overthrow of Bashar al-Assad. In 2011, Erdogan said that they would do the prayer in the mosque of Umayyad in Damascus. 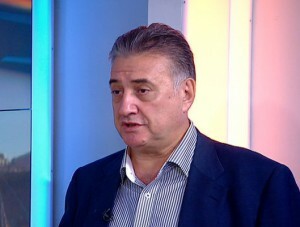 He is concerned that his plans are crumbling,» says Semyon Bagdasarov in his interview to RUSARMINFO. The expert excludes the possibility that Erdogan will be able to achieve success in reducing the Russian assistance to Syria, adding that Turkey is afraid of confrontation with Russia and the change of balance of forces in the region. 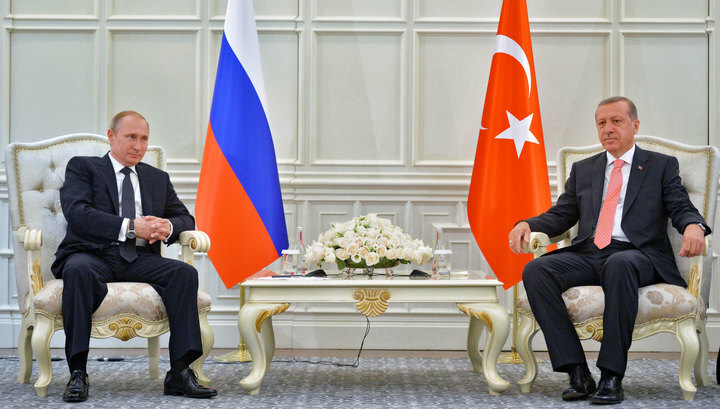 There is also another question, whether Erdogan can negotiate with Putin on equal terms, given the fact that the situation in Turkey gets out of his control. «In Turkey the chaos is growing, and in a short time a civil war may start. The Pro-Kurdish Peoples ‘ democratic party leader, Demirtas Selahattin has warned about this. In addition, according to the Constitution, the main figure in Turkey is Prime Minister Ahmet Davutoglu, not Mr. Erdogan, and day by day it becomes harder and harder for him to control the situation in the country,» explains Semyon Bagdasarov. Note: On September 23 in Moscow will be held the opening ceremony of the Grand mosque on the eve of the Muslim holiday of Eid al-Adha. 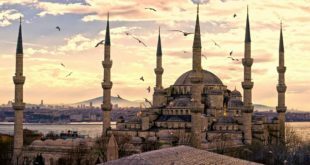 At the opening of the mosque will arrive also presidents of Azerbaijan, Palestine, Jordan, Qatar, Kuwait, Saudi Arabia, Turkey, Iran, Kazakhstan, Turkmenistan, Kyrgyzstan, Tajikistan and Uzbekistan. 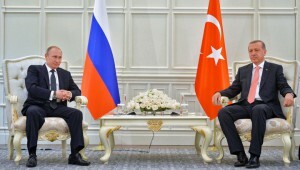 However, the Russian leader will hold meetings only with Turkish and Palestinian counterparts.